Anti-death penalty activists, including members of MoveOn.org and other advocay groups, rally outside the U.S. Supreme Court in a final attempt to prevent the execution of Oklahoma inmate Richard Glossip on Sept. 29. Friends and family of Richard Glossip gather around a cell phone outside the Oklahoma State Penitentiary, straining to listen to the death row inmate's voice over a tinny speaker. Glossip was convicted for hiring another man to kill his boss in 1997. He was scheduled to die by lethal injection in September — but at the last minute, Glossip received a stay of execution. Glossip didn't know why he wasn't dead yet until a TV reporter told him over the phone — the governor stopped the execution because the state had the wrong drug. "That's just crazy," Glossip said. His friends and family listening around the phone agree. Twice in September, Richard Glossip ate his last meal and prepared himself for the execution chamber. Both times, his execution was stopped hours before he was supposed to die. The U.S. Supreme Court stopped a previous execution in January. Last year, a federal judge ruled California's death penalty as unconstitutional, partially because of excessive delays. An appeals court overruled that decision recently on a technicality. Other states are struggling to acquire execution drugs because pharmaceutical companies are refusing to supply them. Oklahoma, Montana, Arkansas and Ohio have all put executions on hold in the last month. Standing outside the prison, Glossip's attorney Don Knight says repeatedly pulling his client back from the cusp of death at the last minute is cruel and unusual punishment. "When you see torture, is it torture? It looks like torture. I would wish that they would stop torturing Mr. Glossip. I wish they would stop trying to kill Mr. Glossip," Knight says. "Going through this repeatedly definitely has a tremendous emotional, psychological toll on an individual," John Blume, a Cornell law professor, says. Blume used to represent death row inmates. He's seen them go through the process of preparing to die and says that eleventh hour delays aren't always welcome. "Sometimes it's a relief, and sometimes the people almost feel like, well, I don't want to go through this again because it was so hard. And then the process begins again," Blume says. Capital punishment advocates blame the lengthy delays on defense attorneys, who inundate the court system with appeals. And Blume says the long wait times can also be tough on relatives of the victim. "It's very hard, I think, on the surviving victim's family members who may or may not necessarily support the execution but believe the case is finally drawing to a close," he says. Robert Dunham with the Death Penalty Information Center thinks repeated last-minute stays are torture. Still, he doesn't think the courts will ever do anything about it. "When a stay of execution is the product of court proceedings, those are necessary proceedings. So yes, it is cruel but it's not unnecessarily cruel in the eyes of the courts," Dunham says. Richard Glossip, the Oklahoma death row inmate, continues to maintain his innocence. Now he has several more months to make his case while the state investigates the drug mix-up that inadvertently spared his life. Copyright 2015 KGOU-FM. To see more, visit http://www.kgou.org. The death penalty here in the U.S. has been under scrutiny after a series of botched executions, drug mix-ups and difficulty acquiring lethal injection drugs. As a result, inmates facing execution have experienced long waits or repeated last-minute delays. And some say that is the same as torture. Jacob McCleland of member station KGOU in Norman, Okla., reports. JACOB MCCLELAND, BYLINE: Friends and family of Richard Glossip gather around a cellphone outside the Oklahoma State Penitentiary, straining to listen to the death row inmate's voice over a tinny speaker. UNIDENTIFIED CROWD: We love you. UNIDENTIFIED WOMAN: I think I lost him. KNIGHT: You're still there, right? COMPUTER-GENERATED VOICE: Your call cannot be completed at this time. MCCLELAND: Glossip was convicted for hiring another man to kill his boss in 1997. He was scheduled to die by lethal injection that day in September. 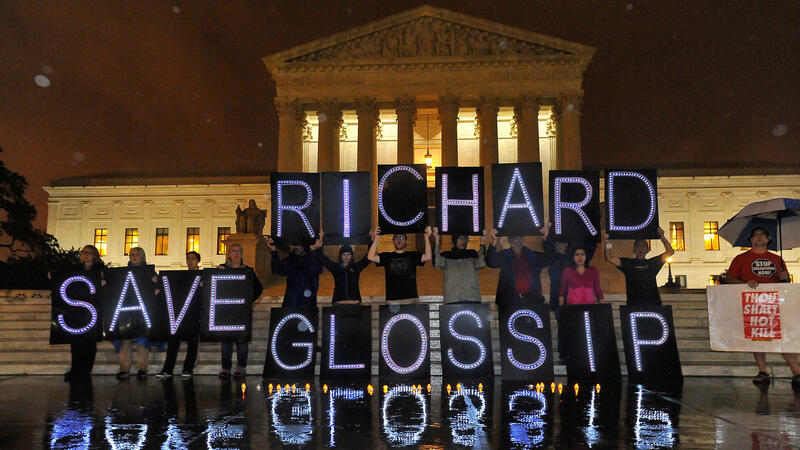 At the last minute, Glossip received a stay of execution. KNIGHT: I assume he will try and call again. MCCLELAND: Glossip didn't know why he wasn't dead yet until a TV reporter told him over the phone. The governor stopped the execution because the state had the wrong drug. KNIGHT: Yes, it is, Richard. MCCLELAND: Twice in September, Richard Glossip ate what was supposed to be his last meal and prepared himself for the execution chamber. Both times, his execution was stopped hours before he was supposed to die. 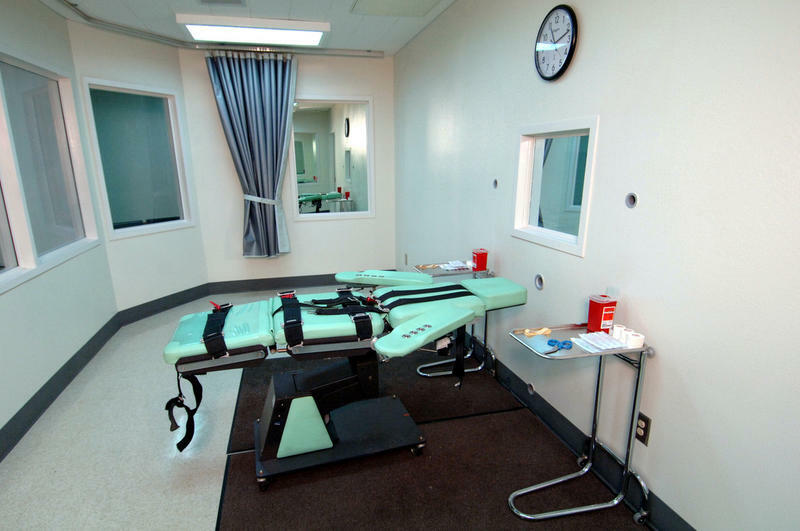 In January, the U.S. Supreme Court stopped yet another previously scheduled execution. Across the country, states are struggling to acquire execution drugs because pharmaceutical companies are refusing to supply them. Last month, Oklahoma, Montana, Arkansas and Ohio each put executions on hold. And last year, a federal judge ruled California's death penalty as unconstitutional, partially due to excessive delays. An appeals court overruled that decision recently on a technicality. Standing outside the prison, Glossip's attorney, Don Knight, says repeatedly pulling his client back from the cusp of death at the last minute is cruel and unusual punishment. KNIGHT: I don't know. I mean, (laughter) do you see torture? Is it torture? It looks like torture. So I would wish that they would stop torturing Mr. Glossip, you know? I wish they would stop trying to kill Mr. Glossip. JOHN BLUME: Going through this repeatedly definitely has a tremendous emotional, psychological toll on an individual. MCCLELAND: Cornell law professor John Blume used to represent death row inmates. He's seen them go through the process of preparing to die. Eleventh hour delays aren't always welcome. BLUME: Sometimes it's a relief. Sometimes the people almost feel like, well, you know, I don't want to have to go through this again because it was so hard. And then, you know, the process begins again. MCCLELAND: Capital punishment advocates blame the lengthy delays on defense attorneys who inundate the court system with appeals. And John Blume says the long wait times can be tough on relatives of the victims. BLUME: It's also very hard, I think, on the victim's - surviving victim's family members who, you know, may or may not necessarily support the execution but believe the case is finally drawing to a close. MCCLELAND: Robert Dunham with the Death Penalty Information Center thinks repeated last-minute stays are torture. Still, he doesn't think the courts will do anything about that. ROBERT DUNHAM: When a stay of execution is the product of court proceedings, those are necessary proceedings. So, yes, it is cruel. But it's not unnecessarily cruel in the eyes of the courts. MCCLELAND: Richard Glossip, the Oklahoma death row inmate, continues to maintain his innocence. Now he has several more months to make his case while the state investigates the drug mix-up that inadvertently spared his life. For NPR News, I'm Jacob McCleland in Norman, Okla. Transcript provided by NPR, Copyright NPR. One of the men involved in the biggest prison break in Texas history is set to be put to death today for the murder of 29-year-old Aubrey Hawkins, an Irving police officer, in December 2000. Update: Newbury was pronounced dead at 6:25 p.m. Wednesday. 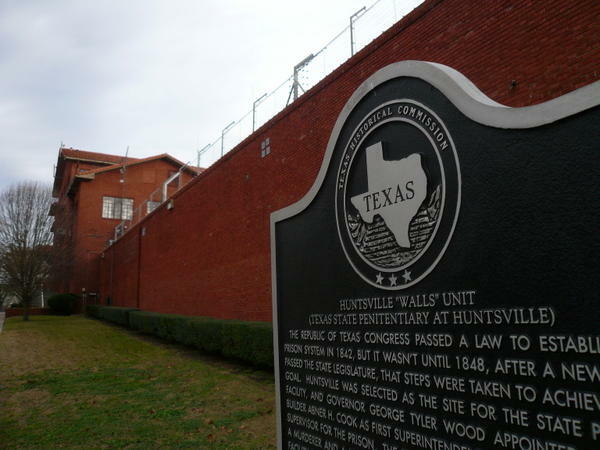 Donald Newbury, scheduled to be executed by lethal injection in Huntsville today after 6 p.m., was one of the “Texas 7,” the inmate gang that escaped from a South Texas prison and went on a six-week crime spree 14 years ago. The largest pharmacist association in the country has voted to discourage its members from participating in executions. The move could make executions harder for states that have been ordering their drugs from compounding pharmacies. As we've reported, some states like Texas turned to the pharmacies after big pharmaceutical companies — under pressure from death penalty opponents — decided to stop selling their drugs to U.S. prisons. Today, the U.S. Supreme Court will hear arguments on the three-drug combination used in Oklahoma executions. At issue is whether the use of one of the drugs, Midazolam, constitutes cruel and unusual punishment, since it is not proven to prevent the person being executed from feeling pain. There is an execution scheduled for Wednesday in Oklahoma – but Texas is tied to the case. According to a court filing, the lawyer for an Oklahoma death row inmate is claiming that his client shouldn't have to use an alternative to pentobarbital, one of the chemicals in the lethal injection cocktail. 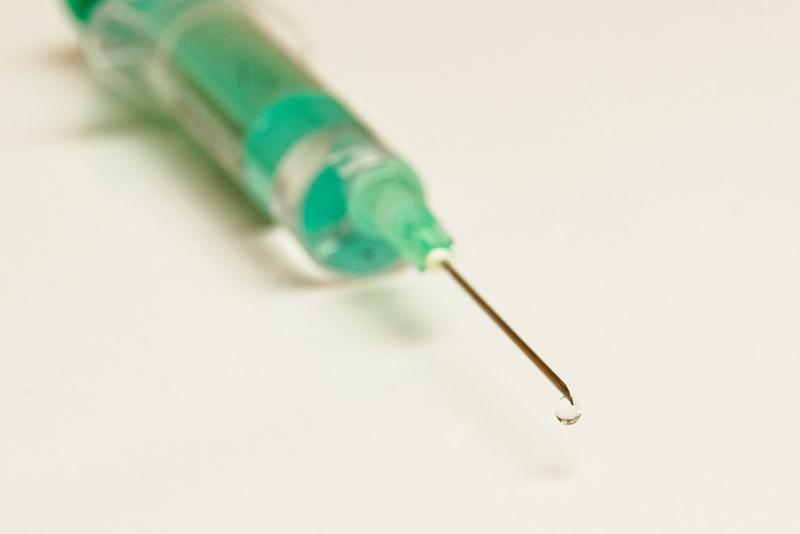 The filing argues that Texas is compounding its own pentobarbital and has sold the lethal injection drug to at least one other death penalty state: Virginia.